Please note: this item is available for pre-order. All items in your cart will ship on or around April 3, 2019. If you would like to receive other items sooner, please place a separate order. Not only did my friends and I purchase this digitally, but on vinyl, as well! Hero was a smash and Girl is no exception. I bought and had this edition of the vinyl (pale yellow) sent to a great friend across the country for her birthday, who wasn't able to see Maren live when she visited, and she absolutely loved it! If you're a true Maren Morris fan and you enjoy a good colored vinyl then this is perfect for you! Vinyl RULES! What's better than listening to vinyl on a high end stereo with great speakers? Listening to MAREN on vinyl on a high end system! This album is dope and I'm addicted. Every single track is a gem &amp; that's rare. I bet our neighbors just love us! HA! MM does it again! This album is absolutely perfect, and this vinyl is beautiful. I almost want to display it instead of play it! 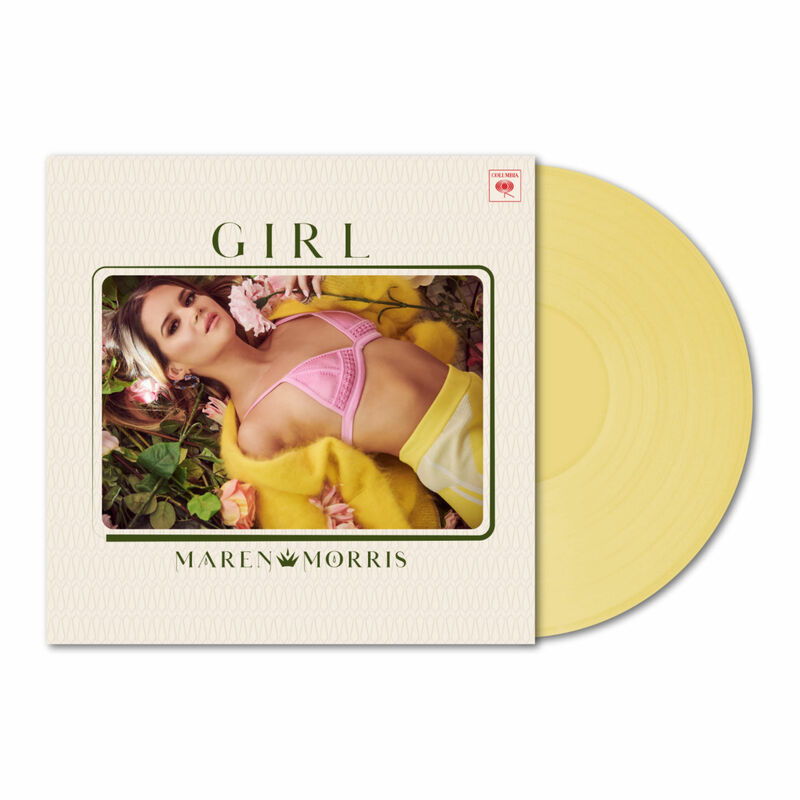 The yellow color of the record is as vibrant &amp; upbeat as the lyrics to the songs featured on GIRL. Music deserves to be heard on vinyl. The graphics and artwork are beautiful, &amp; everything was clearly communicated (delivery date &amp; tracking info) and executed as expected. I love my yellow LP! The album includes a great mix of country tracks like ‘the Feels’, ‘All My Favourite People’ and my personal favourite, ‘Great Ones’; with a mix of pop in the form of ‘Girl’ and ‘RSVP’ (another brilliant track); and some amazing ballads like ‘Good Woman’. A truly brilliant album which is up there with the debut album ‘Hero’.